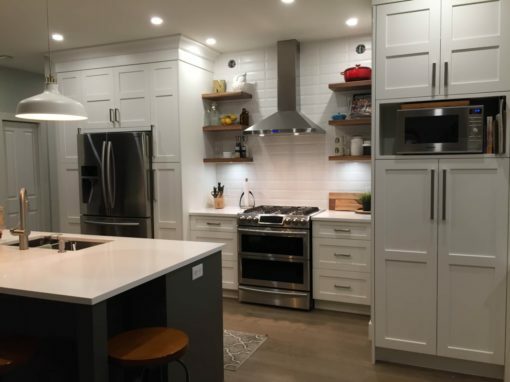 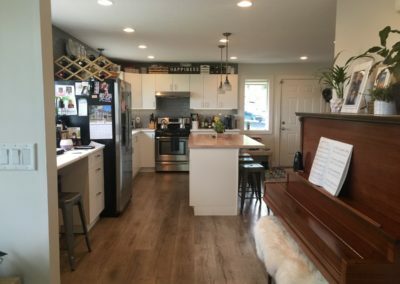 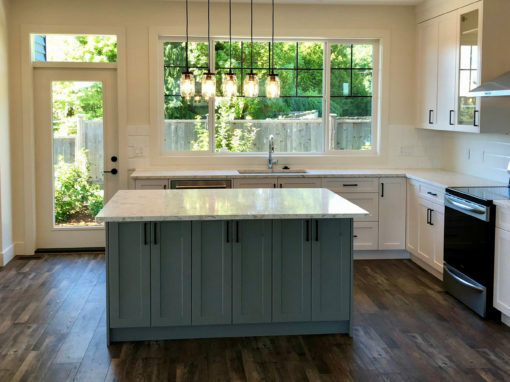 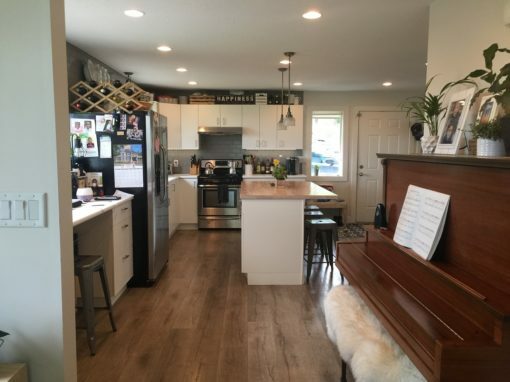 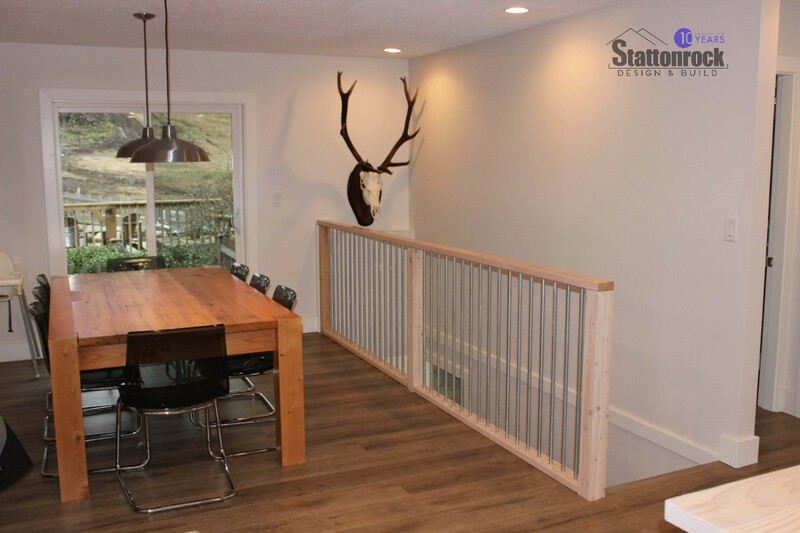 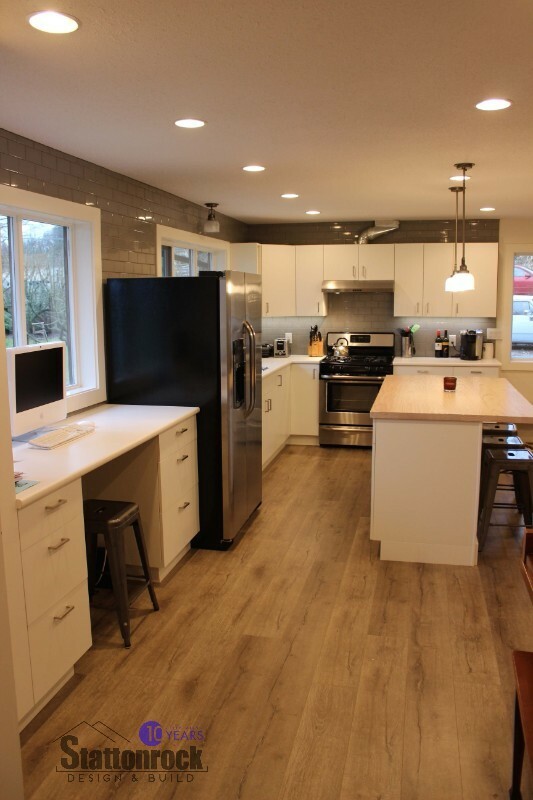 This renovation turned a prefabricated, small space home into an open concept main floor living space. 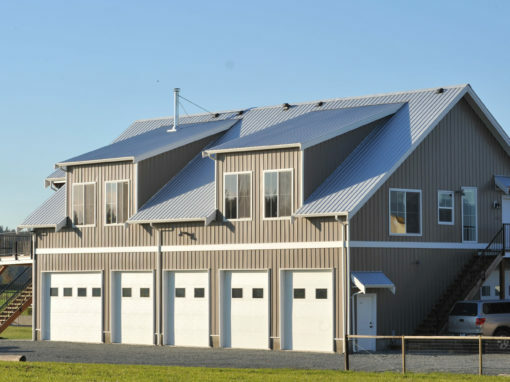 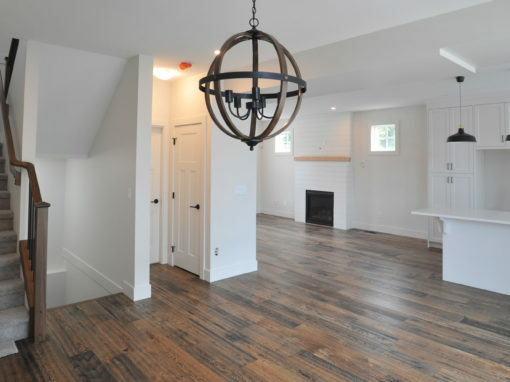 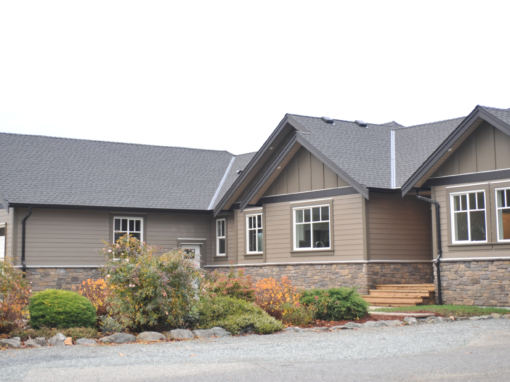 When the owners bought their Abbotsford hobby farm, they needed to upgrade the existing house to suit their family. 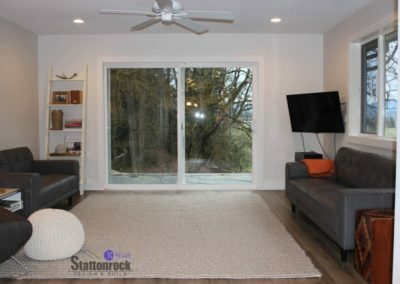 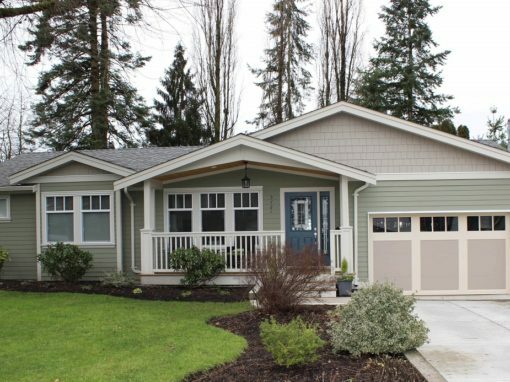 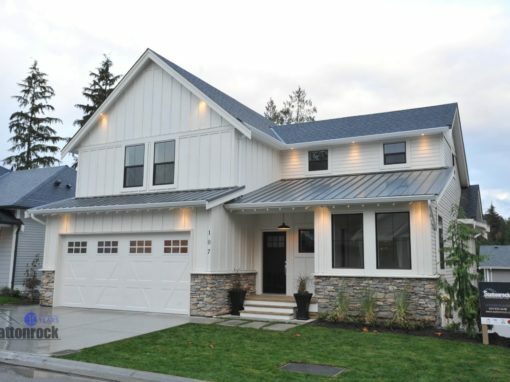 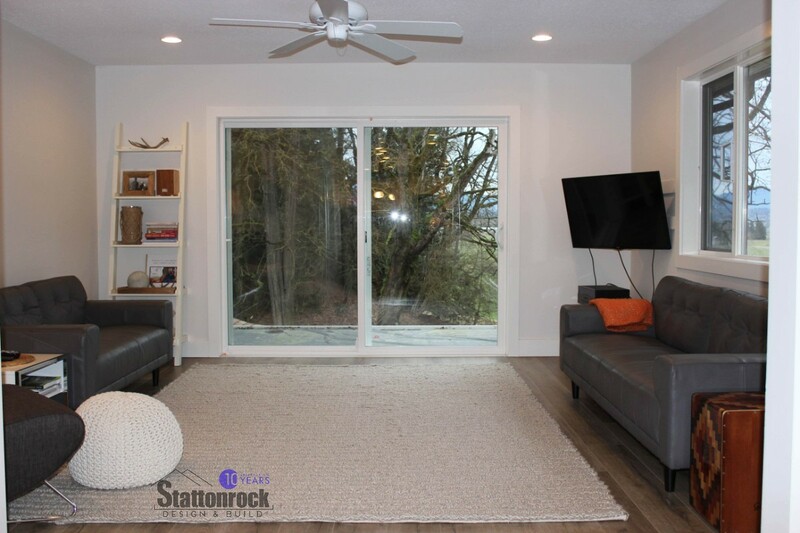 They were on a tight budget and schedule as they had sold their previous home and needed to move in soon after closing. 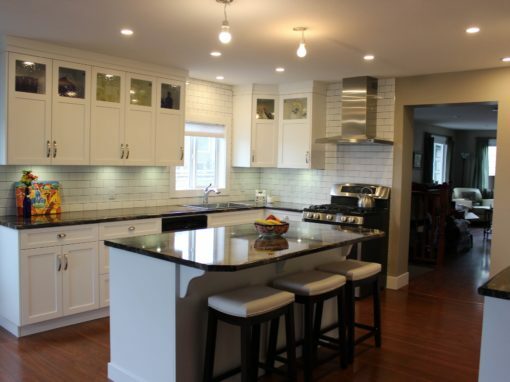 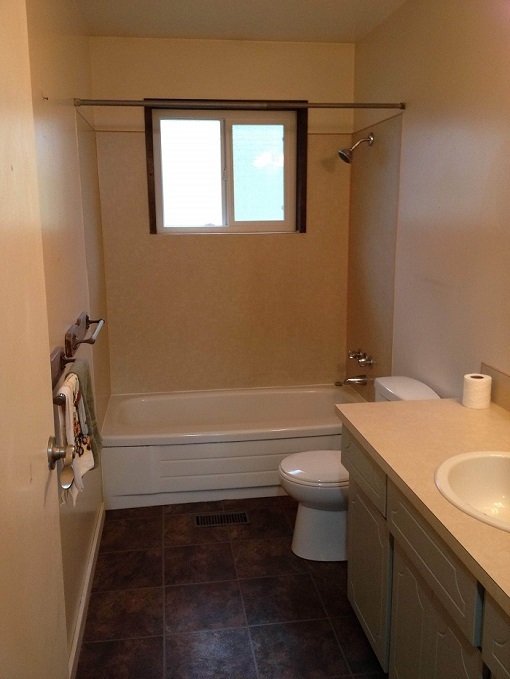 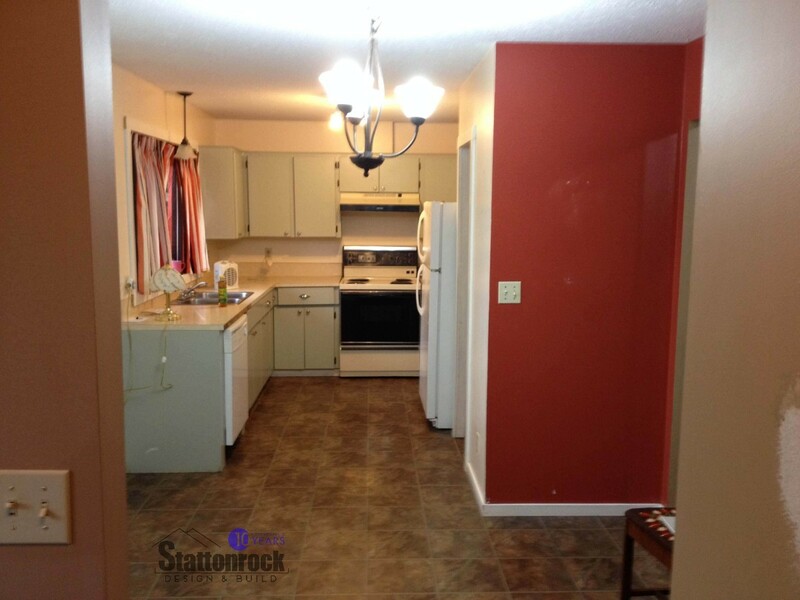 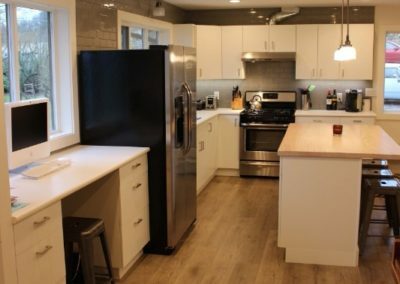 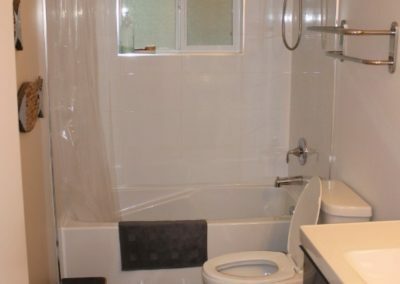 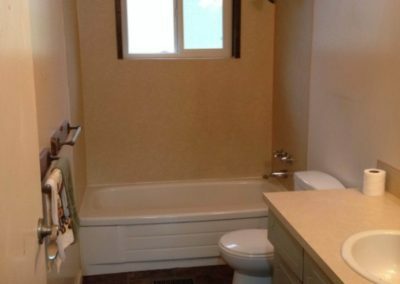 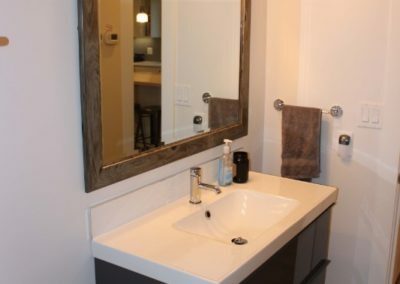 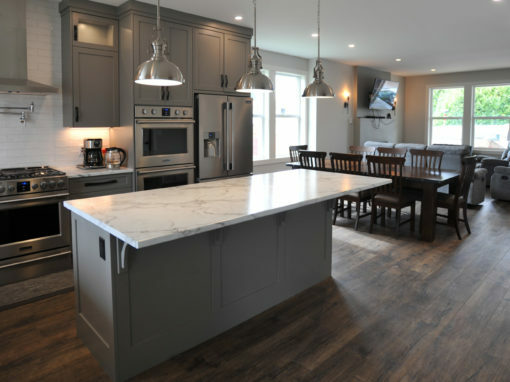 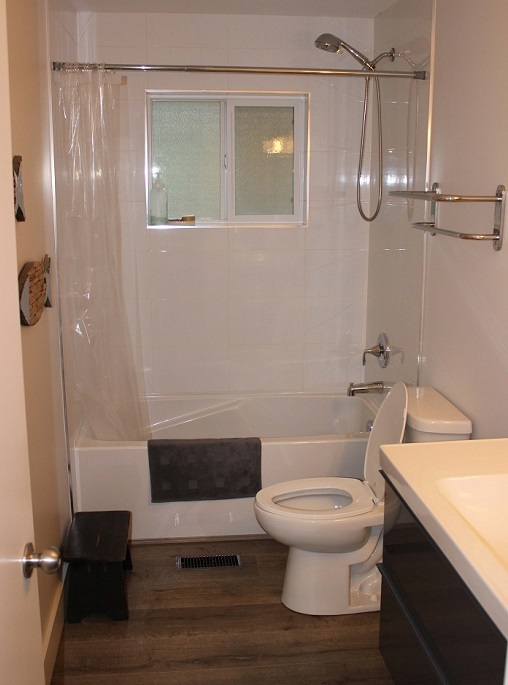 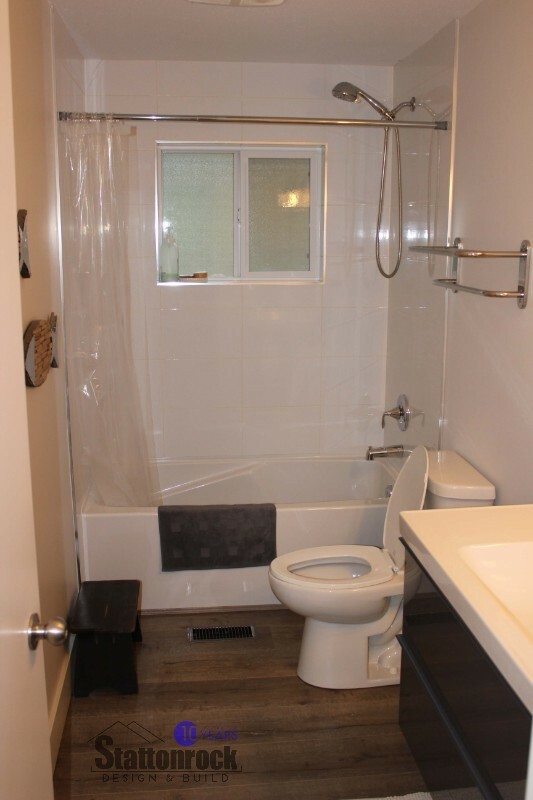 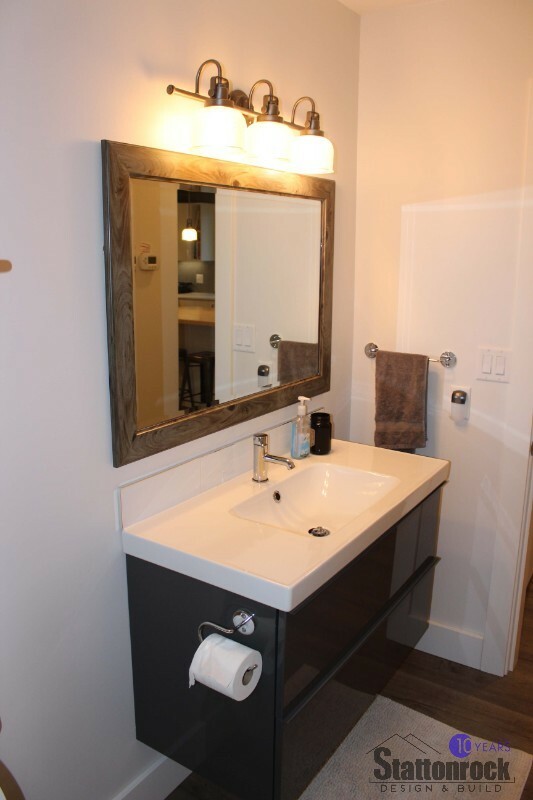 Extensive renovations brought the kitchen up-to-date and the bathrooms also got an upgrade. 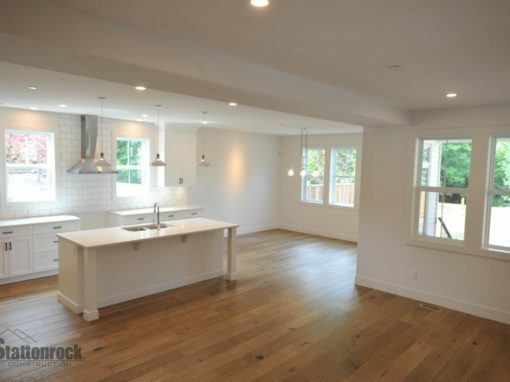 The inside of the home was transformed to utilize the beautiful north facing views.